DPfilms Productions offers professional Wedding Videography,Photography, and Photobooth! We take your vision and bring it to life! This goes for both your wedding video and the flow of your day (wedding coordination). Your story is unique! This is why we put effort into getting to know the bride and groom and their dream wedding day. When it comes to the wedding, its all about the BIG PICTURE which is YOU, the bride and groom. I bring my filmmaking passion to you 110%. I feel that you have to be able to capture the beauty of the moment right as it happens. To be able to showcase the couple’s love with just their eye contact, not just words. To be able to capture the emotions of family and guests, and most of all, to be able to present that SPARK that brought you (The Bride & Groom) there in the first place. When it comes to my films, I make sure that I bring YOUR vision to life. This is why I send you a questionnaire asking you a variety of questions on the type of style you’d like your film. This is your day, your story. I’m just the Cinematographer… you’re the STAR! Made the memory of our special day more than we could of asked for! My husband and I had an amazing experience with Derek and his crew. They were so fun and professional. They were very easy to work with…. we didn’t mind redoing moments of getting ready again to capture them perfectly. It’s important to let the professionals do what they do best. When we received the package with our video it was so beautifully packaged with so much care. We couldn’t be happier with the outcome of the video itself. 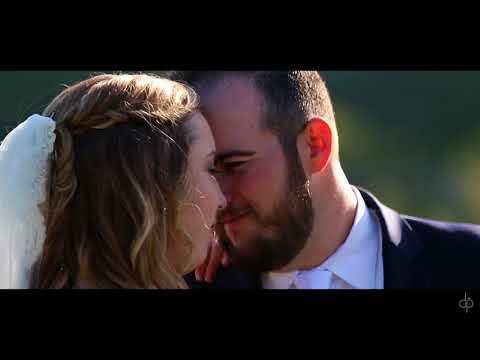 I personally had no idea what to expect from a wedding video but it brought tears to my eyes when I watched it. We are so happy to have that day documented so wonderfully that we will always be able to rewatch throughout our lives. We are truly grateful and definitely know now the importance of having a videographer for your big day. Thank you so much, Derek!